2ND GLOBAL TEXTILE TECHNOLOGY & ENGINEERING SHOW 2019 18th – 20th January 2019, Bombay Exhibition Centre, Mumbai gives you opportunity to meet with the buyer delegations from Ethiopia Ghana, Botswana, South Africa, Tanzania, Benin, Togo, South Sudan& more countries across the globe. They shall come only once in 4 years, next GTTES is in 2023. 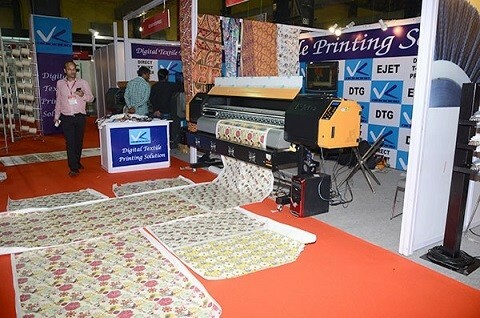 Organised by non-profit apex body India ITME Society, this B2B event is an effort to facilitate access to new customers, market & new opportunities for Textile Technology & Textile Engineering Industry. We invite you to this mega event. Participate & take best of advantage to grow you business. WEAVING PREPARATORY, WEAVING, TUFTING MACHINERY, RELATED AUXILIARY MACHINERY & ACCESSORIES, LAB EQUIPMENT. WASHING, BLEACHING, DYEING, DRYING, PRINTING, FINISHING, RELATED AUXILIARY MACHINERY & ACCESSORIES, LAB EQUIPMENT. DIGITAL PRINTING AND RELATED AUXILIARY MACHINERY & ACCESSORIES. GARMENT MACHINERY & OTHER MACHINERY FOR MADE UP INDUSTRY , RELATED AUXILIARY MACHINERY & ACCESSORIES, LAB EQUIPMENT. KNITTING AND HOSIERY MACHINERY, AUXILIARY MACHINERY AND ACCESSORIES , LAB EQUIPMENT. MACHINERY RELATED TO TECHNICAL TEXTILES, NONWOVEN, RELATED AUXILIARY MACHINERY AND ACCESSORIES, LAB EQUIPMENT. DYESTUFFS AND CHEMICAL PRODUCTS FOR THE TEXTILE INDUSTRY. MACHINERY RELATED TO ENGINEERING PRODUCTS, RELATED AUXILIARY MACHINERY AND ACCESSORIES. SOFTWARE FOR DESIGN, DATA MONITORING AND PROCESSING (CAD / CAM / CIM) AND INTEGRATED PRODUCTION. TECHNICAL INFORMATION SERVICES, EDUCATIONAL & RESEARCH INSTITUTES. ASSOCIATED GOODS AND SERVICES FOR THE TEXTILE INDUSTRY. SPARE PARTS FOR SPINNING MACHINERY.